Can Fiberglass Boats Be Recycled? New Zealand yachtsman Sir Russell Coutts is a man on a mission. The 56-year old Kiwi sailor – who has won more world championships than he can likely remember, along with an Olympic gold medal and five America’s Cups – is trying to transform professional yacht racing from its current niche status, into a widely-popular and self-sustaining sport. He has had this vision for quite a while now and tried more than once to drag the sport that he loves kicking and screaming into the mainstream spotlight. 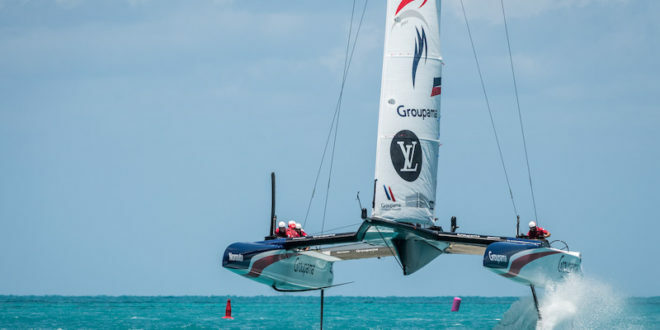 Now though with the glitzy launch on a balmy night in London on Wednesday of SailGP – a new international professional sailing league – Coutts looks set to see his long-held dream become a reality. SailGP will see six new professional yacht racing teams competing over five international events in the new league’s inaugural season next year. The crews will be made up of some of the most exciting young talent there is in the professional sailing world right now, including past America’s Cup sailors, Olympians and other high-performance sailing experts. They will be racing in what can surely be safely be called the fastest boats on the planet right now, 50-foot fully-foiling F50 catamarans, estimated to be capable of top speeds up to 54 knots (62 miles per hour/100 kilometres per hour). 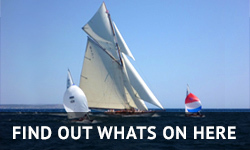 Five events are scheduled for 2019 – Sydney, Australia, San Francisco, USA, New York, USA, Cowes, England, Marseilles, France – but it is hoped to expand soon to 10 teams and 10 events each year in future seasons. 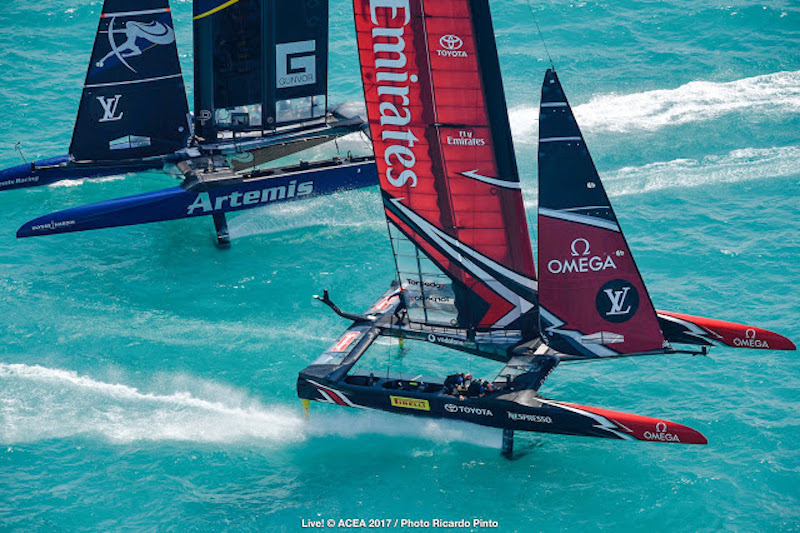 Teams will be country based with strict 100 per cent nationality rules, while the boats will be greatly souped-up and strictly-equalised versions of the AC50s used to such good effect at the last America’s Cup in Bermuda. 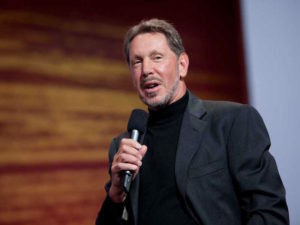 To pull all this together Coutts enlisted the help of his long-time collaborator, billionaire businessman Larry Ellison, with whom he won two America’s Cup with Oracle Racing – the team named for the global technology company Ellison founded and still runs. Coutts says Ellison was keen to get involved with the SailGP concept after losing the America’s Cup to Emirates Team New Zealand in Bermuda in 2017. 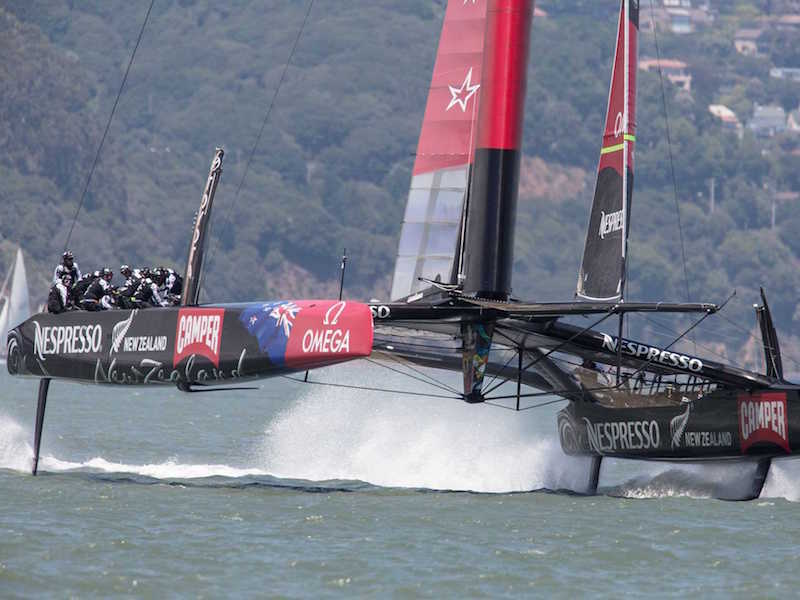 “Larry called me and asked me if I wanted to do the America’s Cup again,” Coutts said. “When I told him I didn’t, he said he didn’t want to either and suggested we should do something new. “He loves sailing as much as I do and so we talked about the possibility of creating a proper professional sailing series. He agreed to underwrite it so that we could do it properly. 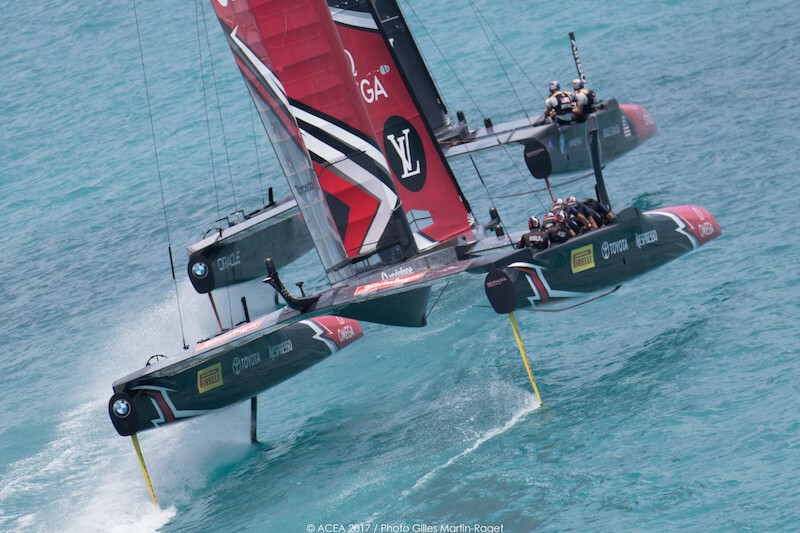 Coutts has made no secret over the years of his desire to create such a sustainable professional sailing league, but now believes that the experience gained in the three America’s Cup cycles will prove vital to bringing SailGP to fruition. “I think that if I had been doing this 10 years ago, I don’t think we would have been making as many of the right decisions,” he said. “Now we have realised what works: in a broadcast sense, in an events and hospitality sense, on the branding and how we market an event like this. 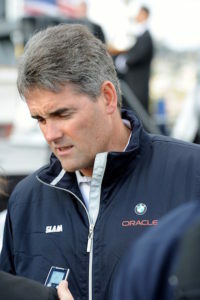 During the last America’s Cup Coutts and Ellison tried to corral the teams into signing a framework agreement that would keep the Bermuda format for the next couple of Cup cycles. Now though he believes it could never have worked as well as he expects the new SailGP concept will do – for two main reasons. “We knew five years ago that it needed a strong nationality component,” he said. “Larry feels really strongly that the racing needs to be close if it is going to be compelling. If the racing is spread out and one boat is much faster than another one, then it kind of destroys the racing. “[With the America’s Cup teams] we would never have agreed a nationality rule in that format and they would never have agreed to go one-design. We would never have agreed a lot of the things we are doing now. Although they are each slightly different, the new SailGP F50 catamarans have been tightly equalised to the point where the fleet can to all intents and purposes be considered one-design from a performance and operational point of view. Battery power will be used to drive the flight control system which will be managed by a ‘pilot’ crewmember using a small joystick. The two grinders in the crew will the supply power to control the massive sail plan which includes a gigantic hard-wing mainsail and a conventional soft-sail jib. Another development is that the angle of attack of the rudder foils can now be dynamically controlled while racing, rather than set in advance as it was on the AC50s. This new functionality is expected to drive a significant performance improvement as well as making the boats somewhat safer to sail. Coutts plans for the boats to continue to evolve technically as the new circuit matures and the sailors get more familiar with sailing the boats. 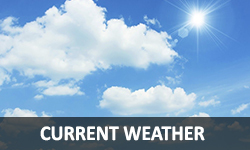 We want to keep the tech element evolving,” he said. 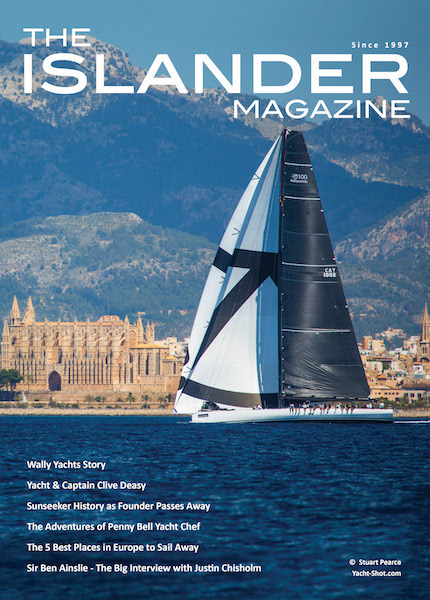 “We didn’t want to have one design boats that are going to stagnate for the next ten years. Quite the opposite. We are going to keep evolving them and we are going to accelerate that development through our in-house design team. “We might say for instance, what’s the best way to develop these boats to be able to race in a broader range of wind strengths? How do we make them faster in lighter winds? Well now we don’t have to say we can’t do that because we have a class rule sitting there stopping any development. “We can make the right decisions for the business based on what we think is correct. We can stagger those developments out over time so that we are not spending a whole bunch of money in one year – that would be fiscally irresponsible. The SailGP organization is expanding fast, opening offices in London and San Francisco where Coutts says they are staffing up aggressively. Only the British team was announced at the London launch but the other five team lineups – representing Australia, China, France, Japan and USA – are locked in and will be made public at individual country-centric events over the next three weeks. With an annual budget of five million US dollars per team, the cost of entry seems surprisingly low for such a high-profile global sporting property. “It’s at a price point where I think there will be two or possibly three teams that are profitable by the end of season one, I am confident of that,” Coutts said, adding: “One might actually be profitable almost from the get-go. “It’s at a price point so that it is achievable that these teams can grow brand equity over time and even if an owner tired of being involved, that team would continue to exist. It might be sold or traded, but the team would continue to exist – which how most other professional sports operate. “That means you don’t have all these sailors and families one day waking up and suddenly it’s all over, because the owners have decided not to do it anymore. With most properties in sailing the team exists for a period of time and they might even build a significant brand, and then they’re gone tomorrow. “I don’t know how they will view it frankly. All I know is that we are not comparing ourselves to any existing sailing property. We absolutely want to be viewed as new. We don’t want to be viewed as a traditional sailing property, we are not comparing ourselves to anyone else in that market.